The conventional narrative is that the minivan killed the station wagon, and the SUV killed the minivan. Don't tell that to the legions of loyal Subaru Outback buyers -- though maybe the secret is that Subaru combines the best attributes of the wagon and SUV in a package that manages to offer just enough weirdness to stay interesting without straying into AMC Eagle territory. Though the brand has come a long way since the XT, there's still no mistaking a Subaru for anything else; the same goes for driving one. The Outback fires up with a slight rocking that'll be familiar to anyone who's driven a boxer-engine Subie (all of them now, but they used to field inline engines too), and pushes power through a remarkably well-sorted continuously variable transmission (CVT). That's the only transmission choice on the four-cylinder Outback -- trust me when I tell you it's not a reason to scratch this car off your list. Things change, and the CVT has improved to the point it's just not worth objecting to in a car without sporting pretensions. It's no sports car, but the Outback has Subaru's near-legendary ride and handling stability. It's hard to put words to, but there's a certain combination of damping, isolation and AWD power delivery that gives every modern Subaru I've ever driven a remarkable sense of confidence behind the wheel. Where Subarus have traditionally fallen flat is the look of everything else from behind the wheel, but that too has changed. The Outback sports an attractive, modern dash layout with the brand's excellent flush-screen infotainment interface. A-pillars are fairly thick, but overall outward visibility is very good, and our tester's attractive heated cloth seats were spacious and comfortable in both rows. The rear cargo compartment won't impress three-row crossover or minivan drivers, but it's in a car both more efficient and less ponderous than any of those vehicles. Plus, the Outback is bigger than compact wagons from German automakers. 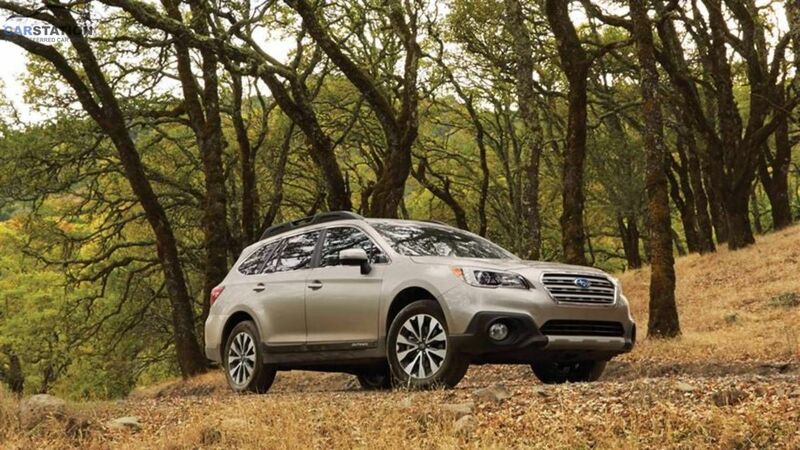 Simply put, the Outback is an easy car to fall for. It does everything a small family could possibly want in a package with good fuel economy, the confidence of AWD, a reasonable sticker price and Subaru's typically outstanding quality. The Outback manages to stand out without being flashy; Subaru has absorbed VW's former brand cachet as the sensible, offbeat car choice, and the payoff is a true do-everything machine that should be on any crossover buyer's consideration list.